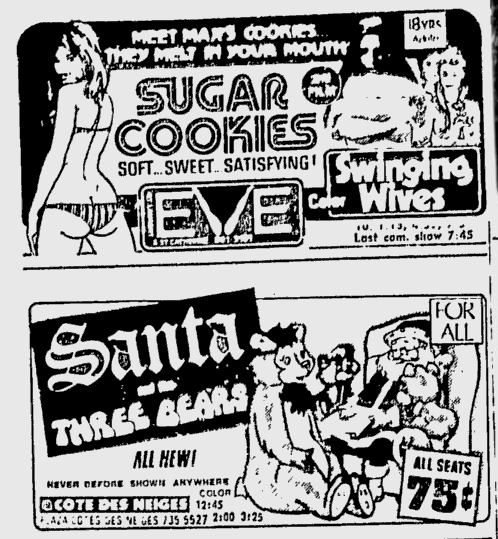 Several months ago, I published a post on old newspaper movie ads which contained both family oriented films side by side with explicitly adult films. 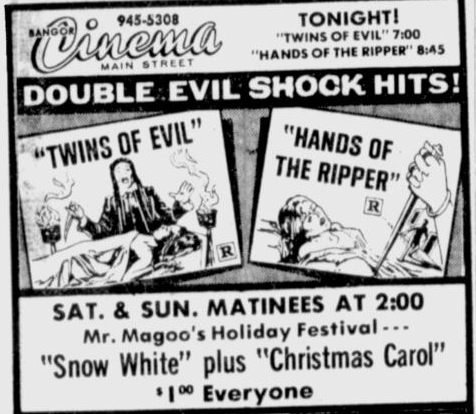 There's just something funny about seeing an like the one above from a 1972 Bangor newspaper, which has Snow White right alongside Twins of Evil and Hands of the Ripper. 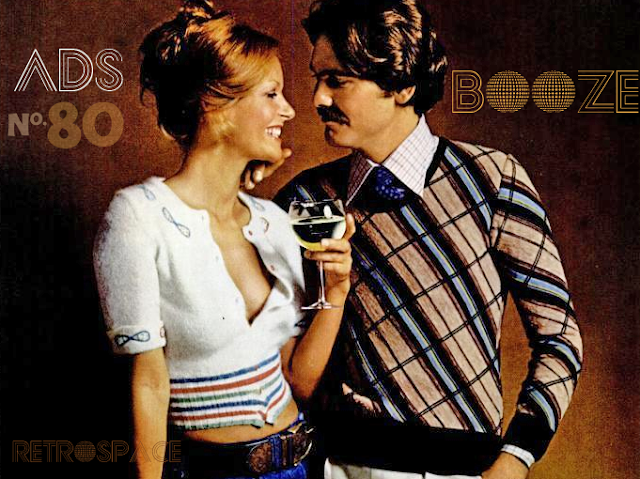 I think it's indicative of the times: in the 70s, everything was oriented towards the Boomers - kids were a footnote. There was an openness towards things considered solidly inappropriate today, and cinemas were full of adult oriented flicks, and precious little stuff for the kiddos. Look at the big budget movies for kids these days and compare them to pre-Star Wars kiddie flicks like the Herbie and Benji movies and Escape to Witch Mountain (1975). 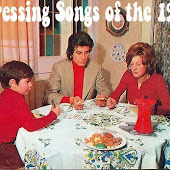 They were were few and far between, and quite often total shite. So, here's just a few newspaper artifacts from when the Love Generation ruled the cinema. Adult films riding shotgun with family matinees. I promise you, they are not cut and pasted together. Enjoy. The Nurses and Disney's Now You See Him, Now You Don't. I love it. Hot Pants Inc. and Kingdom in the Clouds side by side! 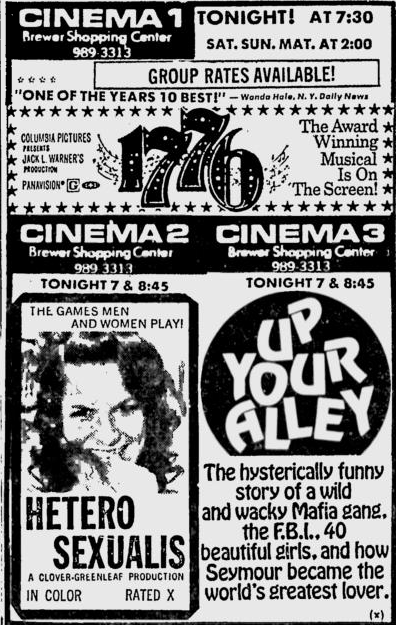 Nowadays, Cougar Country could easily be a title for a sexual themed movie about older women, but in 1970 it was about a young cougar named Whiskers. This may be my favorite - The Ten Commandments right above Run Virgin Run! 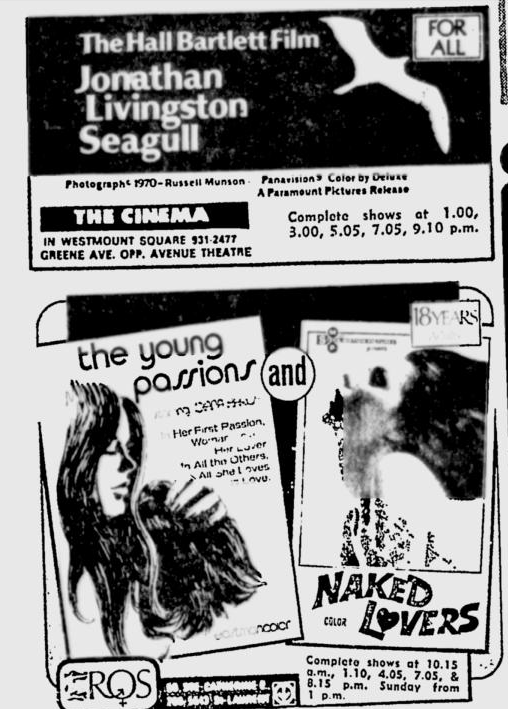 Jonathan Livingston Seagull flying atop The Young Passions and Naked Lovers. Ha ha ha. Love these! lol@ "Cougar Country". I never understood why 1776 was rated "G" because there's a bit of cursing in it. PS - I like your tag "sexual matters". "Now You See Him, Now You Don't". 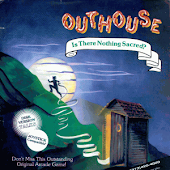 One of my favorite Disney movies, starring Kurt Russell. 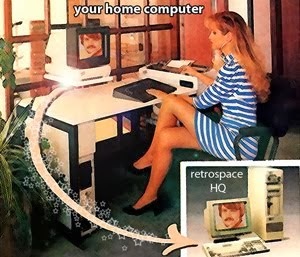 "The Computer Wore Tennis Shoes", another good one. 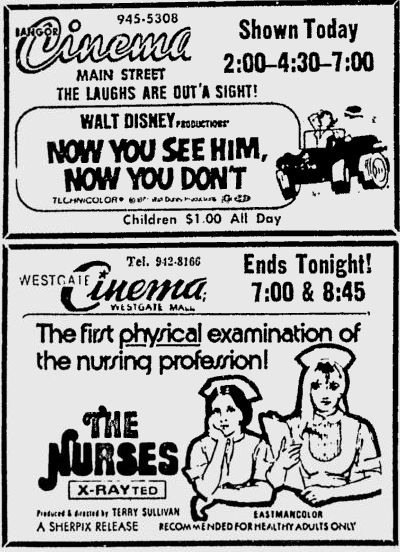 I also love the disclaimer at the bottom for "The Nurses", "Recommended for healthy adults only". So if you are sick, you cannot see this movie? Ha! See what they did there with The Nurses? "X-RAYted!" Because nurses take X-rays!